Ask me how much my cellphone costs each month, and I can tell you down to the penny. Ask me how much I pay in investment management fees each month, and I have no idea. There is a reason for this: I see my phone bill on my credit-card statement each month. Ditto for my power bill—I write a check to the utility company each month. I am aware of every cent because I actually sit down and pay a bill. 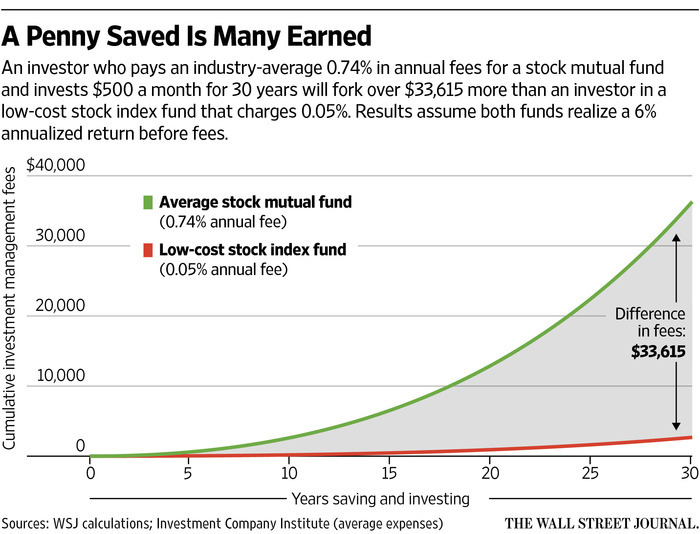 Investment fees—for mutual funds, for 401(k) administration, for a financial adviser—are different. Most are deducted from your assets automatically. Mutual-fund and exchange-traded-fund fees typically are deducted from the fund’s assets monthly. Many financial advisers deduct fees from client accounts each quarter. Commissioned brokers generally are paid upon each transaction..